These days I call myself a runner...: Barefoot running - is it the answer?? Barefoot running - is it the answer?? I've always run in Asics Kayano trainers, and have lost toenails, had appalling blisters from long runs, tendinitis in my ankle, and various other issues, but have generally just got on with things. When the fabric on my trainers starting fraying though, I thought it was probably time for some new ones....so I just bought the most recent version of the Kayano and went out in them. But they really weren't right. Something about the new design on this old style doesn't work with my feet at all and I didn't need a long run to feel like my shoes were hurting - worse than that, after 200 yards, I felt that they were impeding me. In the couple of days after my first run in my disappointing new shoes, I discovered (through a recommendation on Amazon) Born to Run by Christopher McDougall. I couldn't put it down. It's amazing and if you haven't read it and you love running (or you're even a bit interested in it!) you should read this book. This is the precis from Wiki: McDougall tracks down members of the reclusive Tarahumara Indian tribe in the Mexican Copper Canyons. After being repeatedly injured as a runner himself, McDougall marvels at the tribe's ability to run ultra distances (over 100 miles) at incredible speeds, without getting the routine injuries of most American runners. The book has received attention in the sporting world for McDougall's description of how he overcame injuries by modeling his running after the Tarahumara. He asserts that modern cushioned running shoes are a major cause of running injury, pointing to the thin sandals worn by Tarahumara runners, and the explosion of running-related injuries since the introduction of modern running shoes in 1972. The key thing that I took away from the book and that has stayed with me (other than an insight into the lives and attitudes of some of the craziest ultra runners there are) is that running is something that people have evolved to do...barefoot...without needing to wear over engineered, expensive, gait changing trainers. We are "born to run" and we're just spoiling the experience by persevering with what Nike, Asics and all the other manufacturers tell us we should be putting on our feet. 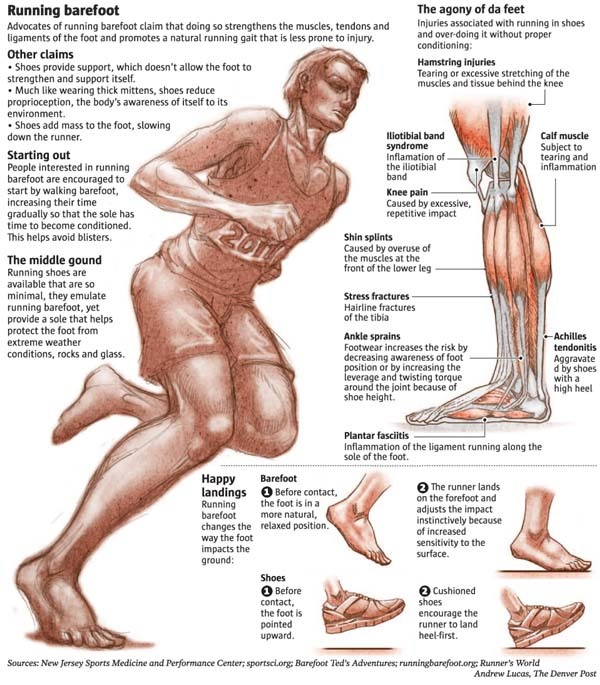 There are many differing opinions among the various professionals who specialise in this type of thing, but from the many articles I've read about it, I believe that the numbers of people who are still injured every year running (and yep, I'm always one of them) shows that the injury preventing shoes just don't work! All of these ideas coming at the time when I was having such trouble with my own trainers, has been very exciting for me. I'm convinced that (a simulated) barefoot running method is the answer to my problems with my trainers. I've spent my life, as most of us have, in shoes and I know for a fact that if I decided to go and run barefoot down the street tomorrow I'd be hobbling in a minute, not only because of the massive change to my running style that my body and muscles wouldn't be used to, but also because of the broken glass, snails and general detritus that I'm convinced would be waiting for my feet! However, I do believe that, with the right preparation, many runners could benefit from running in (feet protecting) basic shoes that don't offer the cushioning and fake support that alter the way the body naturally moves and the way the foot supports us. So...I'm changing my stride from heel to mid-strike (which has immediately increased my pace and helped keep my shoulders relaxed when running) and am very soon going to be looking at some of the new shoes on the market that seem to be designed for this new barefoot running trend...or maybe I'll just buy some cheap white plimsoles that I used to run in at school! I've read this book and found it interesting and so, I decided to give it a try for about two weeks. However, the feeling wasn't what I expected. I've had blisters on some parts of my sole and calves were painful too. As an alternative to my ordeal, I've started wearing barefoot shoes such as Vibram Five Fingers. Just what I needed and I must say so far, so good. There are actually a lot of different types of barefoot shoes you can choose from, visit the link here. I agree with the your statements. i like five finger vibrams,five finger vibrams also make you satisfied. Ben Does Life...and inspires me to do too! 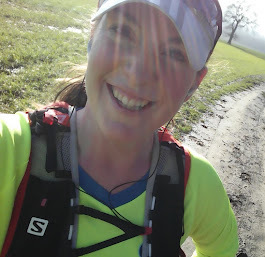 Can you help me find my running mojo? ?